Everything you need for modern woman on the go. 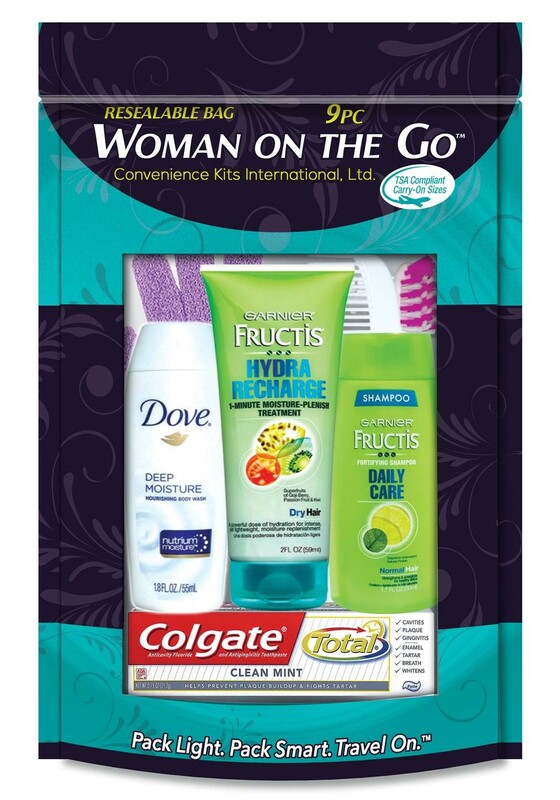 This 9 piece travel kit features Fructis shampoo, Dove body wash, Colgate toothpaste and a full size toothbrush. To top it off, this kit even offers you a little pampering on the go with a Garnier Hydra Recharge treatment, spa glove, 4 color foil bag and a spa comb. Wrapped up in a TSA compliant quart sized zip top bag, you’ll pass through security in a breeze and be on your way.